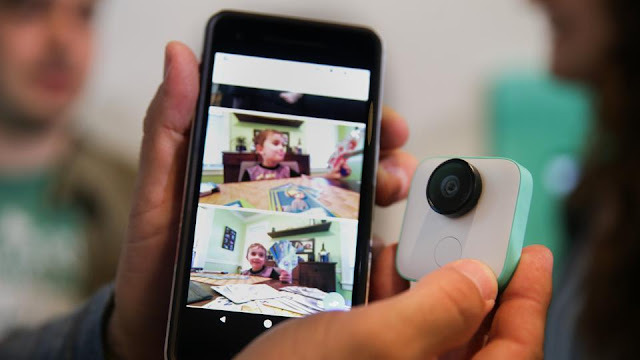 A Google employee holds up the new Pixel 2 smartphone and Google Clips wireless camera at a product launch event on October 4, 2017 at the SFJAZZ Center in San Francisco, California. Google has introduced a “do not disturb” feature on its flagship smartphones, Pixel 2 and Pixel 2 XL. The feature can automatically detect when a user is driving and then activate the feature. The US-based tech MNC, which announced two new editions of the Pixel earlier in the week, rolled out Pixel Ambient Services, an app which provides features based on local context for Pixel devices, reports The Verge. The new feature suggests that the phone will automatically go into a ‘do not disturb mode’ when someone is driving. It will reportedly use Bluetooth and device motion to determine when to activate the feature. Earlier in September, iPhone aggregator Apple revealed the iPhone X, its anniversary edition, after much-anticipation, comprising a similar feature. The feature allows users to silence calls, alerts, and notifications while driving. While users can also schedule DND , they can also allow calls from certain contacts. Similarly, Samsung too revealed a similar feature on its device. Earlier this year, the company introduced an application called In-Traffic Reply. The app uses GPS sensor on the phone to automatically detect when a user is driving. Samsung already offers a S-Bike feature on its low-end phones, which has a similar functionality. At the moment, it’s not clear how exactly Google’s DND feature functions and whether it will be rolled out in all markets. The Google Pixel 2 is slated to launch in India on November 1 whereas the Pixel 2 XL will be available from November 15. The base model of the Pixel 2 is priced at Rs 61,000.